Both the US Senate and House of Representatives have advanced dozens of opioid response bills, many of which impact ASCs. In 2016, opioids were involved in 42,249 deaths, five times higher than in 1999, according to the Centers for Disease Control and Prevention (CDC). Today, through legislation and administrative policy, the federal government has committed significant resources into opioid crisis response. It took a few years, but the paradigm has shifted from concern to increased action as human loss continues to grow. Following is a snapshot of ASCA, congressional, administrative and stakeholder endeavors to help remedy the state of crisis. Despite significant reductions in the prescription of opioid-based medications, ASCA believes the current crisis requires the medical community to do more to seek alternative means of reducing their use for pain management. For outpatient surgery, this could include greater use of such innovations as longer lasting analgesics and pain pumps. As the leading representative and advocate for ambulatory surgery centers, ASCA provides members with educational resources on a wide range of regulatory, compliance and safety protocols and guidelines. While ASCA does not perform a regulatory or governance role for medical professionals it can—and will—continue to use its industry leadership position and educational capabilities to promote and share best practices and medical specialty guidance on the reduction of the use of opioid-based medications. ASCA also supports a comprehensive and national response to solving the current crisis through a combination of addiction prevention, early intervention and treatment, disease management and recovery support. Stakeholders across the health care system offer tools and best practices for opioid abuse prevention. ASCA provides a compilation of many of these resources in its Opioids Resource Center. Medicare Opioid Safe Treatment Act, which includes language to direct the secretary of the US Department of Health and Human Services (HHS) to examine and adjust Medicare payments to avoid financial incentives from prescribing opioids instead of non-opioid alternatives. ASC Medicare payment rates for opioids and non-opioid alternatives could change, depending on the HHS secretary’s review. Community care providers are required to submit medical records to VA of any care or services furnished, including prescriptions. On the other side of the US Capitol, the Senate moved myriad measures throughout the late spring and summer. 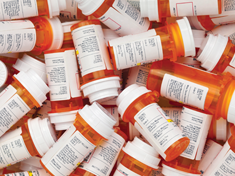 One legislative package, the Helping to End Addiction and Lessen Substance Abuse Disorders Act, requires health care professionals to use electronic prescribing for Medicare-covered drugs with certain controlled substances, among many provisions. Another package, the Opioid Crisis Response Act of 2018, comprises more than 40 bills to help build innovation, research, product safety, treatment, recovery and other programs related to opioids. In addition to critical legislation passed by Congress, multiple federal agencies initiated opioid abuse prevention mechanisms. In late 2017, President Donald Trump declared the opioid crisis a public health emergency. While this designation stops short of a national emergency declaration, it does provide government and law enforcement officials some flexibility to move funding where it is needed the most. The move also permits expanded telemedicine and prescribing authority to help treat addiction, according to a National Public Radio article last fall. Public health emergency declarations last for 90 days and this one has been extended three times. Food and Drug Administration (FDA): According to a May 30, 2018, press release, the FDA “launched an innovation challenge to spur the development of medical devices, including digital health technologies and diagnostic tests, that could provide novel solutions to detecting, treating and preventing addiction, addressing diversion and treating pain.” FDA’s stated goal is to “provide additional incentives for product developers to invest in products that can address aspects of the addiction crisis and advance the development of promising technologies.” The FDA will accept submissions until September 30 and announce selected applicants in November. The challenge application is located on www.fda.gov. Substance Abuse and Mental Health Services Administration (SAMHSA): Within HHS, SAMHSA has existed in the vanguard of mental health and addiction treatment since its inception in July 1992. Its core mission is to reduce the impact of substance abuse and mental illness on America’s communities. Among various efforts, SAMHSA administers Opioid State Targeted Response grants, which provide states up to $500 million per year to focus on areas of greatest need, including increasing access to treatment, reducing unmet treatment need and reducing opioidrelated deaths. The agency also provides funding to specific populations for medication-assisted treatment. Vanila M. Singh, MD, chief medical officer in HHS’s Office of the Assistant Secretary for Health, chairs the task force. Members include representatives from relevant HHS sub-agencies, the US Department of Veterans Affairs and the Department of Defense, the Office of National Drug Control Policy, and experts in “areas related to pain management, advocacy, addiction, recovery, substance use disorders, mental health, minority health and more.” Other representatives include patients, veteran service organizations, the addiction treatment community and groups with expertise in overdose reversal, such as first responders, medical boards and hospitals. For more information on opioid legislation and other federal legislative activity, write Jeff Evans.